Image courtesy of Humansofny home page. I was given the book Humans of New York: Stories by Sarah, a young entrepreneurial woman who I respect. I read it in a single sitting. I recommend it to all of you. Like poetry, it made me feel, smile, laugh and sometimes sigh. It is not a novel, not fiction. Each page has a photograph of a New Yorker, with his/her own words candidly sharing a thought or answering a question. It will touch you and give you new perspective on the faces of strangers around you. Author and blogger Brandon Stanton brings out the essence of people, without judgement – just humor, empathy, candor and authenticity. His photos and short insights into his subjects intrigued and touched me. In 2010, in his twenties, Stanton began to take photographs of individuals on the streets of New York City. He interviewed his subjects with a few well-chosen questions and began a blog. He now has over 17 million followers on Facebook. 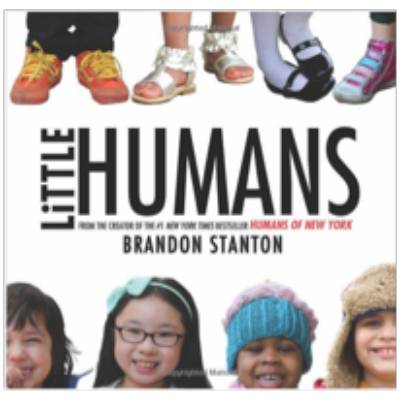 He has published two Humans of New York – HONY – books. Time Magazine selected Brandon as one of their ‘30 People Under 30 Changing the World’. In the summer of 2014, the UN chose him to travel around the world on a goodwill mission meeting people from Iraq to the Ukraine and Mexico City. His first book Humans of New York was based on his blog and stayed on the New York Times Best Seller list for over 45 weeks. The photographs were his focus and he gave them captions. 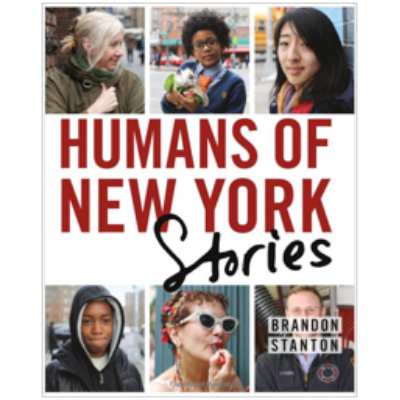 With Humans of New York: Stories, Brandon has refined his craft with skillful questions which result in deep, candid, often revealing responses from his subjects. Humans of New York on Facebook. Humans of New York Website. 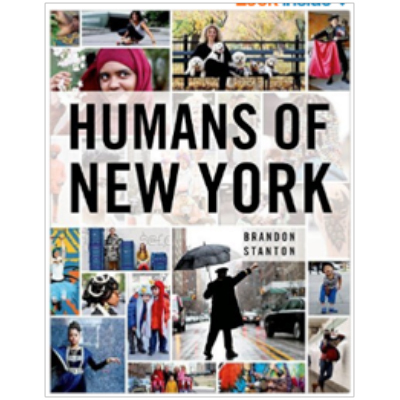 HONY The latest stories from HONY, featuring interviews with thousands of people on the street of New York City. Humans of New York on Instagram. To give you a sense of the impact of ‘‘Humans” on me – here are parts of what I wrote to myself as I read Humans of New York: Stories. It will change the way I see people around me. Individual relationship to the whole. We hope to ‘fit in’, conform, but this book is about the exceptional in each human. Mental illness. Loneliness. Pride. For some – emptiness, distress, despair. Honesty you rarely get from strangers. Remember to imagine the journey of the stranger near me. Thanks for this article – I love the Facebook posts and didn’t know that there are books available! I’m glad you enjoyed it. Do you have a favorite story?